Man Utd are reportedly set to exercise an option to extend Marcus Rashford’s contract, while new terms are said to have been agreed with Ander Herrera. 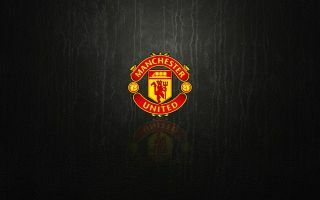 The Red Devils are facing a crucial few weeks as they look to secure Champions League qualification for next season, while also trying to get past Barcelona this time round to keep their hopes of winning a trophy alive. Ole Gunnar Solskjaer has undoubtedly done a great job since being appointed interim boss in December, but he will be desperate to avoid seeing his side lose their momentum after recent setbacks. Distractions off the pitch are the last thing that the Norwegian tactician needs, but according to The Sun, it’s claimed that United are expected to exercise their 12-month contract option on Rashford as talks over a new long-term deal have yet to reach a conclusion. That seems to be like a sensible decision in truth as ultimately it gives the two parties more time to reach a lengthier agreement, while ensuring that the club isn’t left vulnerable to a rival putting in an offer for the England international. Rashford has scored 12 goals and provided nine assists in 38 appearances so far this season, as he has undoubtedly found his feet under Solskjaer in particular. Meanwhile, The Sun also report that Herrera has agreed on a new contract with the Red Devils, with his current deal set to expire at the end of the season. Similarly to Rashford, Herrera has benefited from the managerial change and the appointment of Solskjaer, as the Spaniard has proved his worth in midfield in recent months. That in turn could have saved his United career and earned him the new deal, as he now looks set to stay on and continue to help the club move forward. However, there has been no official word from either party as of yet, and so it remains to be seen whether or not there is an announcement in the coming days or weeks to confirm Herrera’s extended stay in Manchester.